Who would’ve thought that museums could be fun? Gone are the days where a museum visit consisted of simply walking, viewing and commenting. Thinkery is a museum that makes science fun and is tailored to kids by hosting programs according to age groups. Babies would fall under the ‘baby bloomers’ group offered on Mondays and Saturdays from 9-10am to babies 0-3 years of age and their parents. 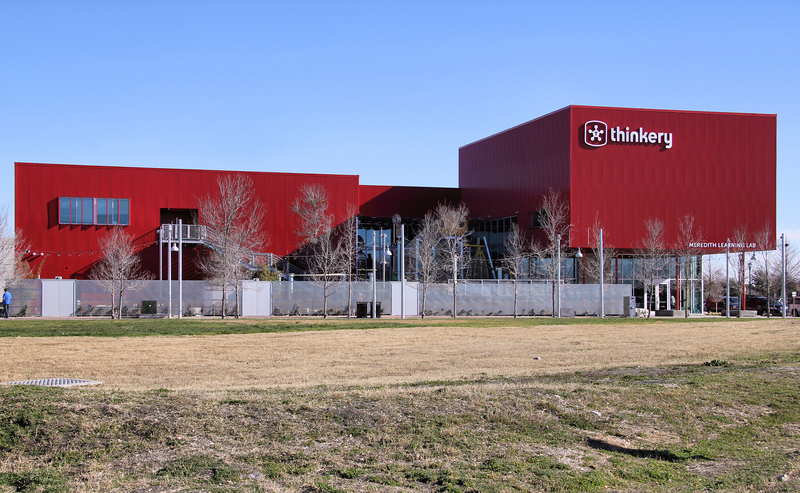 Thinkery is located at 1830 Simond Avenue. This is a casual mother and baby community meet-up that offers a safe place to interact with other parents. Thirteen administrators state that it is judgment-free and that mothers can share the good with the bad and offer encouragement to each other. There is no format to the meet-up; it is just a get-together of mothers and their babies and is completely free. The meeting location is at 5555 N. Lamar Blvd. Suite L-121. There are two locations in Austin – Westlake (3267 Bee Caves Rd #145) and Anderson Mill (13492 N. Hwy 183 #500). Emler is opening a new location soon in Oak Hill as well. You and your baby can get a free orientation 30-minute swim lesson. Usually offered on Saturdays, you can call your preferred location to see if there are weekday options available. Granted, you would have to pay for any more classes, but it’s a 30-minute free activity involving water play. I’d take advantage of it! Located at 603 N. Lamar Blvd, this bookstore includes a gift shop equipped with toys and even local jewelry. However, the main baby attraction here would be the story time events. They have a calendar on their website, scheduling story times thereby giving you that added ability to plan your day as well. BookPeople has been known to bring in the odd author to read and sign their books. Something your baby may grow to appreciate. Their story times area is lively and includes play, puppets, and props that are sure to entertain both you and your baby. This is a musical avenue for you and your baby to explore. There is a mixed age class for children 0-5 years of age, so, if you have other young children, it is something you can do as a family. Music Forever is also fee-based but has a demo class that is free, and that can be booked via their website. They have a several locations throughout Austin. This is a weekly casual gathering held at the Birthwise Birth and Family Center located at 1709 Rio Grande St, Austin, Texas 78701. It is completely free and open to all mothers and babies in the area. It is a chance for you to mingle with other mothers and for your baby to have a mini-playdate with other babies. It’s not what it sounds like, I promise! This is a support group that meets in Thrive Chiropractic located at 15501 Ranch Road 620 N., Suite 1200. It is on a drop-in basis, is free and open to expecting and postpartum mothers. The group is led by trained doulas who offer advice, guidance, and information on resources available in Austin. Public libraries in Austin are amazing! They have librarians who take story-times to the next level – especially when it comes to entertaining your little one. Stories are brought to life with music, actions, and puppets. Absolutely government-funded so it’s free to attend. A simple Google maps search of public libraries near you will point you in the right direction. The central one would be the Austin public library located at 710 W Cesar Chavez Street. Their website shows current dates and times for story time. Another free meeting group for pregnant or postpartum mothers, held at the Austin Center of Threapy and Assesment, 8103 Brodie Lane, Suite 1 Austin, Texas 78745. The meetings are held on Mondays from 6:30-8pm and is open to all mothers and their babies. You and your little one can get your groove on at TuneBugz. Trained teachers lead you and your child through a series of rhythmic songs, dance moves, finger, and instrument play, appropriately chosen according to your child’s age. Granted the sessions are fee-based BUT, they offer a free demo class that you can schedule from their website. There are four locations in Austin, TX. 4544 S Lamar Blvd; 4301 W William Cannon Dr; 4548 Page St; and, 12010 Hwy 290 West. So, there you have it! A list of completely FREE indoor activities in Austin TX, for you and your baby, to access and enjoy. Places like the museums and the libraries can be visited multiple times as the stories and activities are likely to be different each time. Usually, the expense is what keeps most of us in the house, but I hope that this list lightens that load and gives you more options to work with.